A review of 53,104 digital screening mammograms in South Australia has revealed 72 cases of breast cancer that were initially missed. The review, which began in December, focused on the period between 6 September 2010 and 30 June 2012, during which time Breastscreen SA had been transitioning from analogue to digital screening technology. Over those two years, 95 fewer cases of breast cancer were detected than were expected, an anomaly that prompted a review of all screens taken. According to South Australia health minister, Jack Snelling, 570 women were recalled for secondary testing as a result of the review, and 72 were diagnosed with breast cancer that had been detectable during initial screenings. Of the 72 women whose cancers were initially missed, two have since died. One woman had detectable advanced breast cancer, whist the cause of the second woman’s death was not determinable due to age. 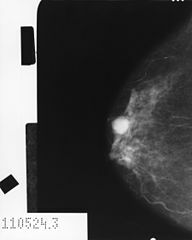 Associate Professor Gelareh Farshid, Breastscreen SA’s clinical director, said that there was ‘no possibility at all’ that the two women could have been saved by earlier detection. The review concluded that the change over in screening technology during the two year period resulted in inconsistent screening reading practices and the subsequent fall in diagnoses. Detection levels have since returned to normal levels. All of the review’s recommendations regarding future practices at Breastscreen SA have either been implemented already or soon will be. Some of the women whose cancer cases were missed are considering pursuing legal action against the South Australian government. Mr Snelling said that the government has not sought legal advice on the matter but if legal action were to arise as a result, the government would be a ‘model litigant’. This entry was posted in Health, News and tagged breast cancer, in brief, women. Bookmark the permalink.